With local wages stagnating, and house prices rising beyond sustainability, a serious affordability crisis has unfolded in Vancouver. We’re all looking for solutions and while many are hoping for a sharp drop in prices it’s important to understand the implications behind falling home prices. While I strongly agree house prices are detached from reality and a natural downturn is needed (real estate is cyclical) I want to touch on a few things. One thing most people don’t realize is that when house prices fall it wreaks havoc on the economy. Governments love rising house prices as they tend to create a ‘wealth effect’ spurring consumer spending, create more jobs (construction, brokers, Realtors, etc), and ultimately increase tax revenue. 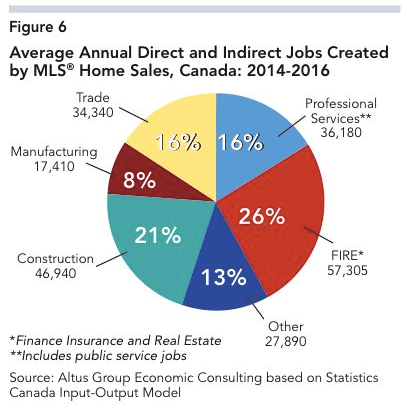 As you can see it’s estimated that the average house sale in Canada creates an additional $61,600 spent into the economy. It also creates a plethora of jobs, mostly concentrated in the FIRE industry (Finance, insurance and real estate). This is why Governments have become addicted with Real Estate (Canada has an unhealthy addiction to Real Estate), Especially since the global financial crisis. 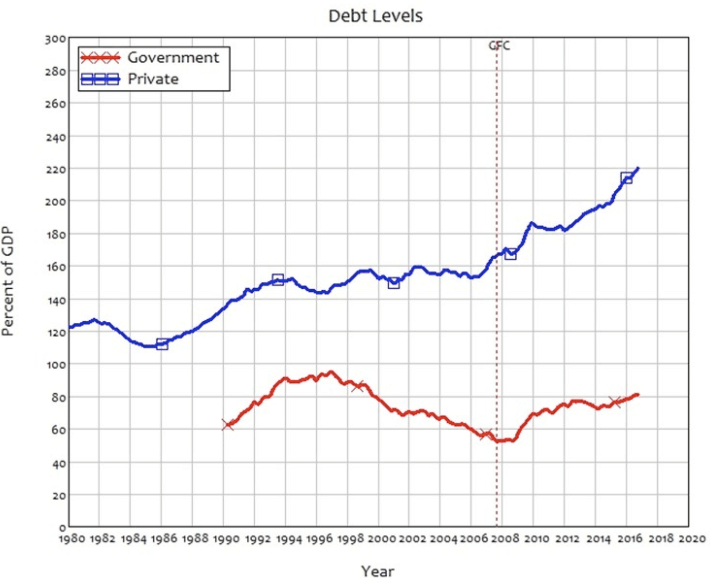 Instead of household debt deleveraging (like USA, Ireland, Europe) the Government encouraged further household borrowing to avoid a painful downturn. This helped keep house prices elevated and perverted a natural cyclical downturn. A drop in house prices today will erode the confidence of banks and prevent the formation of new credit (banks create 97% of all money in the form of new loans aka credit) which creates the painful deleveraging period aka removing the punch bowl. 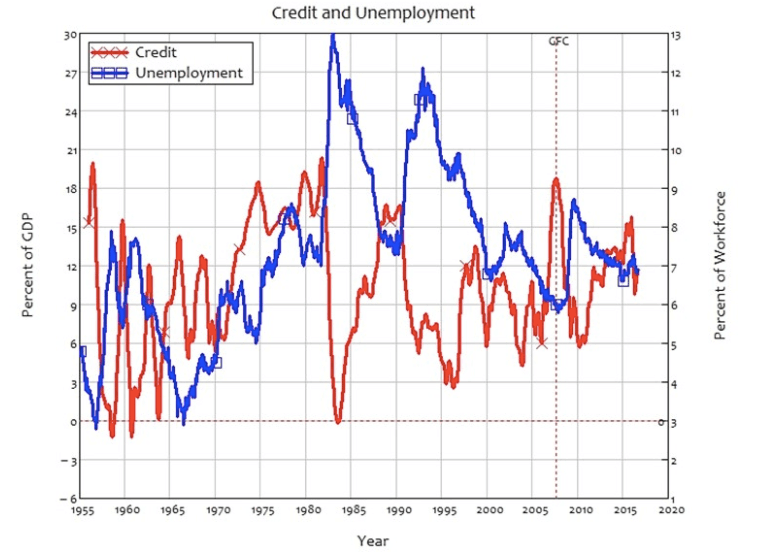 Some brilliant work from Professor Steve Keen suggests a drop in credit results in a spike in unemployment. So, although home prices may become more affordable, many won’t have the job needed to buy said affordable home. Anyways, this is the dilemma Governments face. They’ve become obsessed with the growth of credit and the strength of the real estate market. They are now under intense political pressure to curb home prices. But as you can see, you can not magically engineer a soft landing without having substantial implications on the economy and employment. This is not to suggest Governments should prevent downturns, they are natural, wipe out bad debts, cleanse the system, and allow us to start fresh.